Former Marylhurst Chamber Choir headed Llangollen International Musical Eisteddfod, in Wales, United Kingdom. 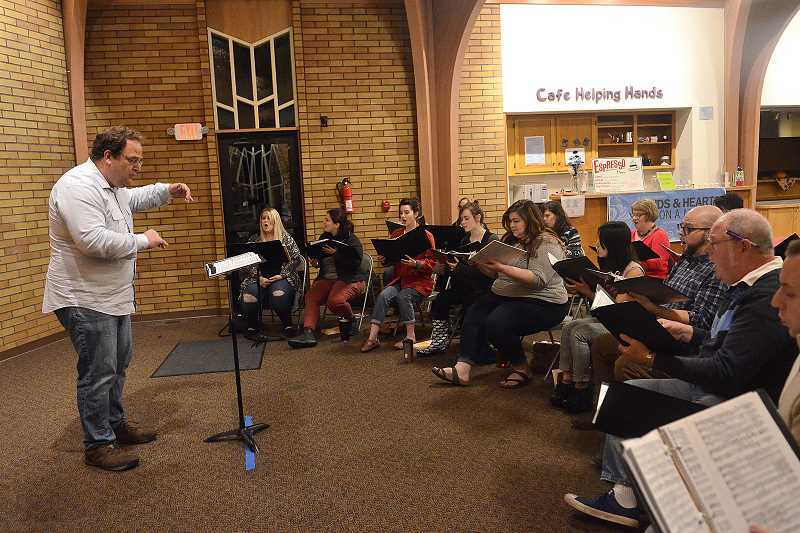 The Portland Phoenix Chamber Choir, formerly the Marylhurst Chamber Choir, was recently notified it has been selected from more than 100 applying choirs to compete at the prestigious Llangollen International Musical Eisteddfod, in Wales, United Kingdom. After winning numerous prizes at similar festivals in Ireland, Latvia and Italy, the Chamber Choir is now setting its sights on the Llangollen Eisteddford, one of Europe's most prestigious and historic music gatherings. While there, the choir will compete for the title of "Choir of the World," and the Pavarotti Trophy for the best choir at the festival. The Llangollen International Musical Eisteddfod is one of the foremost world festivals of muisc, dance and culture, and includes competitions showcasing choirs and dance troupes from across the globe. Each year it attracts more than 4,000 stars including Luciano Pavarotti who competed in the competitions as a boy. This year, Portland Phoenix Chamber Choir will join international competitors from all over the world in a vibrant carnival of culture. They will also sing two public concerts at St. George's Hanover Square and St. Bartholomew the Great in London, and have been invited to sing two Evensong services at Christ Church Cathedral in Oxford. To celebrate the rich singing culture of Wales, the Chamber Choir will hold a benefit concert March 1, which is St. David's of Wales Day, sharing the stage with Portland's Welsh Dragon Choir, at St. David's of Wales Church, 2800 S.E. Harrison St., Portland, OR 97214. Tickets may be purchased at wales.brownpapertickets.com. The Portland Phoenix Chamber Choir was organized from the ashes of Marylhurst University, following its abrupt closure in May 2018. "We are delighted to receive this prestigious invitation to sing at Llangollen this summer, and are looking forward to hearing exceptional choirs from all over the globe and representing Oregon, the Pacific Northwest and the United States on the international stage, continuing a rich legacy of music at Marylhurst University," said Dr. Justin Smith, director of the Chamber Choir. All are welcome to attend the March 1 concert in Portland. Tickets are $35 plus handling fees online at wales.brownpapertickets.com. The Chamber Choir rehearsed at West Linn Lutheran Church under Smith's direction.